this has just reached another level of insanity. | escaped. this has just reached another level of insanity. 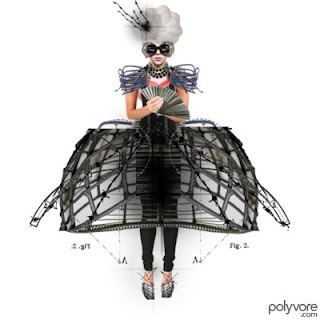 Steampunk Gaga by maia-arts featuring Tarina Tarantino jewelry. The lady and her alone can wear this. I don't care if it looks cool, if anyone I know wear this in public I'd run away screaming..I swear. but here tarina tarantino is all about necklaces and hello kitty..i wish theyd pay more attention on other things.